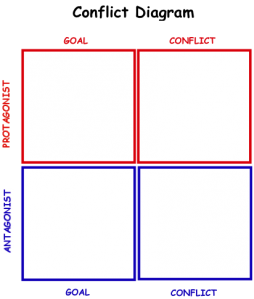 Emotion and Conflict – What’s Enough? The idea for this post has been percolating in my brain for a while and I recently read a blog post by author Janice Hardy which sparked me to want to write it now. Her post is about stakes for the characters in a novel. I’m a little torn about what she says. I agree that you have to make readers care about your characters. You have to have something at stake. The hero and heroine have to have something personal at risk. I agree with all of this and I’ve read a ton of books that drew me in emotionally as a reader because this is done well. My question then goes to conflict. Many writers will argue that you can’t have good conflict without an antagonist, a bad guy. 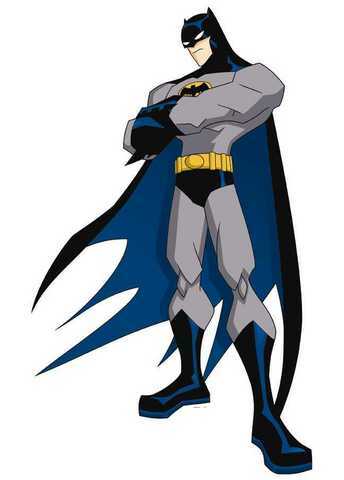 The antagonist doesn’t have to be a serial killer or terrorist; it just needs to be someone that stops the protagonist (hero) from getting what he wants. Kristen Lamb wrote about it here. I agree with what she says, especially when she says that the antagonist is the hardest concept to understand. Bob Mayer writes about it here. I’m sure if I spent some more time searching, I’d have a million more examples. While I agree with the concept, I’ve begun to wonder if it matters to readers, specifically readers of contemporary romance. Of course, this interests me because this is the genre I write, but it’s also the genre I read. I’ve read quite a few books over the last year that have been light on the antagonist. If you follow me on Twitter, you might have noticed me talking about Ruthie Knox’s book, Ride With Me. This is a great read. It’s about two people riding their bikes across America and they fall in love. I suppose at a stretch, you could call the hero’s sister an antagonist because she pushes him from his comfort zone and makes him interact with people. She’s the one who tricks him into having a riding partner. Ruthie does such a good job of making me care about the characters, that it didn’t matter to me that there was no antagonist. The conflict revolved around each if them getting over their own issues. 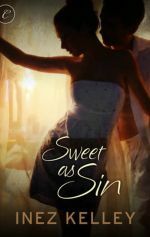 A few months ago, I wrote about one of my favorite books from last year, Inez Kelley’s Sweet as Sin. I adore this book. It’s dark and emotional and totally sucked me in. Now, it’s been a long time since I read it, but I can’t remember any antagonist. If there was one, it was unimportant to me. Shannon Stacey has a trilogy that I read last year about the Kowalski family. The first and last book of the trilogy do have antagonists, but they read like antagonist-lite. In the first book, the antagonist would be the heroine’s boss, who is forcing her to get an interview with a famous writer, the heroine’s ex-boyfriend. In the last book, the heroine’s grandmother would be the antagonist because she wants her granddaughter to be married so she’s not alone. In the second book, there was no external antagonist that I can recall. All of these books were published by the digital division of big publishers. Ride With Me is a Loveswept book (Random House), Sweet as Sin and the Yours trilogy are both from Carina Press (Harlequin). These books have found an audience. It bears repeating. These books found an audience even without strong antagonists. Shannon Stacey hit best seller lists with her books and Harlequin decided to publish print editions. In addition to these authors, many self-published authors are also finding success. Both Marie Force and Bella Andre have published with New York houses and are currently self-publishing their books. While I haven’t read everything they’ve put out, I have read at least a couple of books from each their contemporary romance series. The stories have been enjoyable, but from a craft standpoint, light on the conflict because of a lack of antagonist. I say this not as a criticism, but as an observation. These authors are enjoying great success. Readers are gobbling up their books. If they don’t have strong external conflict and no antagonist, shouldn’t their stories be lacking? Experts might say yes, but I don’t think the readers agree. The emotional pull of the characters keeps us glued to the page. As a reader, do you notice if the book has an antagonist? Is the emotional journey of the characters enough to sustain the novel for you? Posted in Uncategorized and tagged antagonist, Bella Andre, Bob Mayer, characters, conflict, Inez Kelley, Kristen Lamb, Marie Force, publishing, romance, Ruthie Knox, Shannon Stacey, Shannyn Schroeder, writing. Bookmark the permalink.